The Game Zone is host to a variety of card and video game tournaments, and we serve as the moderators in these tournaments. We even offer exciting prizes to the winner! Our monthly Officially Sanctioned Pokémon Trading Card Game Tournament is the first Saturday of every month at 6:30. Our owner and one of the tourney runners are both Official Pokémon Professors, and our weekly Official Pokémon Card League is now in session! We’ve also been regularly hosting Super Smash Bros. Melee tournaments for the last few years, and we’ve got plans to launch a monthly video game tournament, so keep your eyes peeled. Want to learn from Official Pokémon Professors? 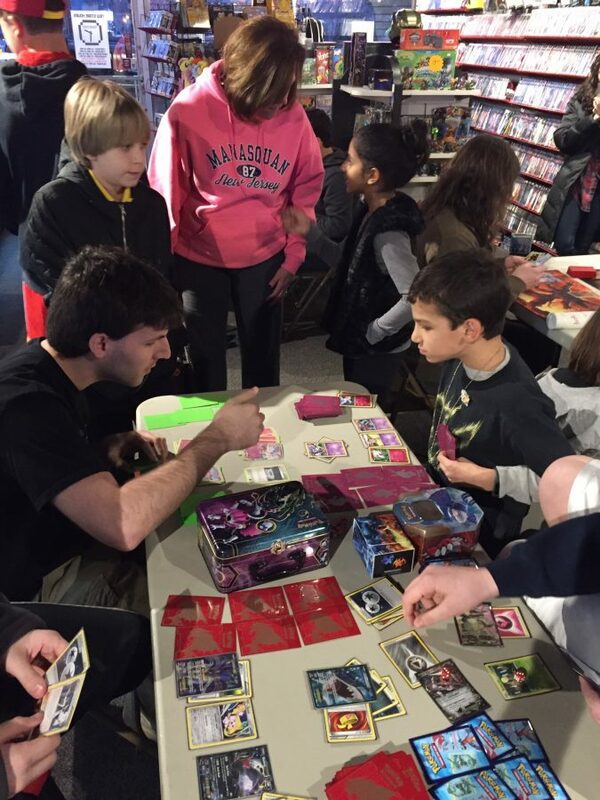 We run Pokémon TCG clinics to instruct newcomers on everything from how to play the game to how to build their first card deck.